Must have been hard walking through the factory... with all those Lego pieces on the floor. What’s the most impressive thing you’ve ever built using Legos? For me it’s got to be the tiny Lego Garden I built when I was eight. It had a cute little Lego house, and I made my own little LEGO vegetables and had a little LEGO bunny. 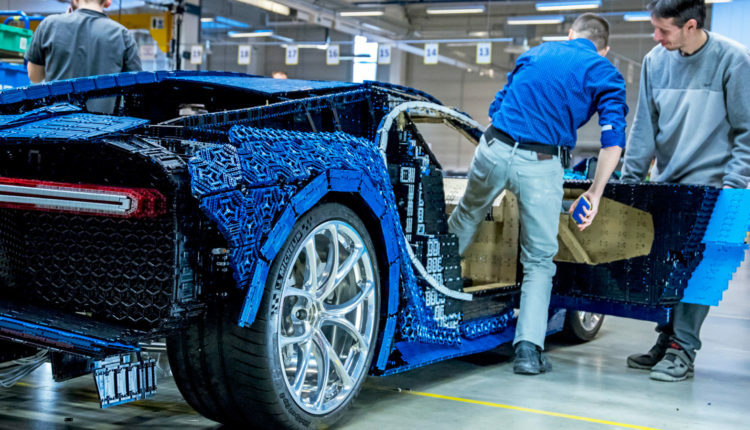 I bring this up only to mention how this all absolutely pales in comparison to the fact that Lego Technic just built a drivable car made almost completely out of interlocking Lego pieces. Damn. Sorry, everyone else’s Lego creations! How can you compare?? 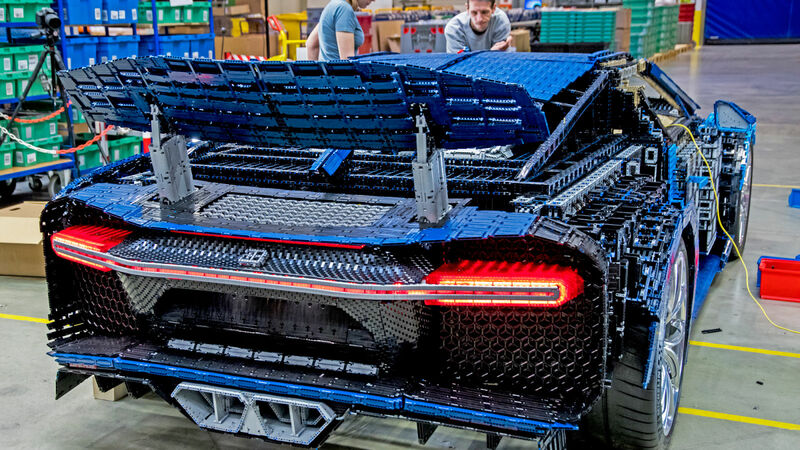 The car in question is specifically a Bugatti Chiron, and impressively enough, the entire thing is made of Legos. As Gizmodo puts it— not a single drop of glue is in there. Everything from the car doors, the head and tail lights and the interior are made out of interlocking Lego pieces. 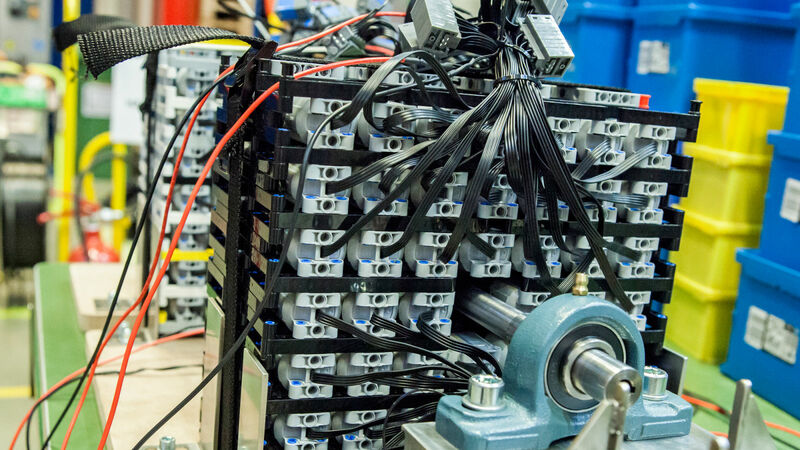 Even the engine is made up out of 2,304 Lego motors, with 2,106 axle pieces, 4,032 plastic gears, all of which generates 5.3 power, driving you a balmy 18 miles an hour. Slower than a normal car, but much faster than most toys, so color us impressed. Speaking of color, Lego had to create 56 brand new pieces to get the color right, and all things considered, that’s not a lot of new pieces for what they were doing, i.e. : creating a car that moved and drives like a normal car. The non Lego parts are few and far between and include a metal framework, probably so in case the car hits a speed of 19 miles per hour, and pieces start flying off the sides, you can still sit there in the metal framework like you’re in a Tex Avery cartoon or something. The Lego Bugatti Chiron will not be sold on the market, because I imagine it’s one of those things that will result in dozens of lawsuits as folks get into slow moving Lego based accident, but the videos are so cool, right? What do you think of the car though? Let us know in the comments or on Twitter at @WhatsTrending.